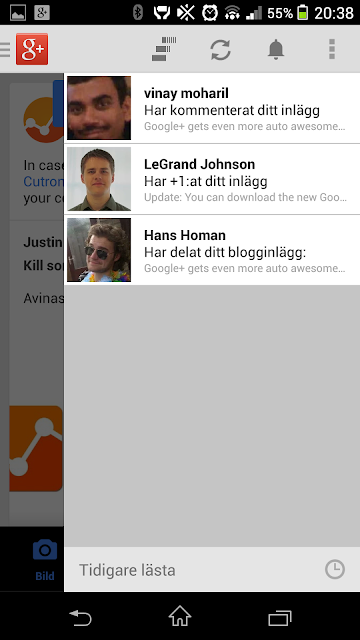 Google has released an update to the Google+ app, and I must say that it looks much nicer now. The notifications menu is now white instead of black, and that makes it look much nicer, and you can swipe up or down to show or hide already read notifications. Works great. 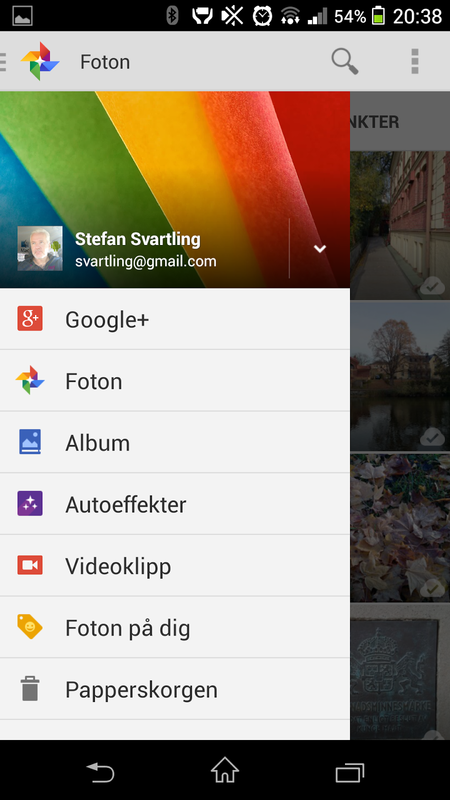 Google+ photos has got a totally new menu, where you now can easier find your photos, there is now Auto Awesome, video clips and photos of you as specific menu items for example, so you can directly go there and find what you are looking for. Google is really pushing Google+ as a photo service now. If that is good or bad I don’t know yet. It’s good as long as they are making it better for other things too, but I wish they could prioritize some new features for news reading and as a replacement for old RSS Readers and RSS, as I’ve been talking about quite much. 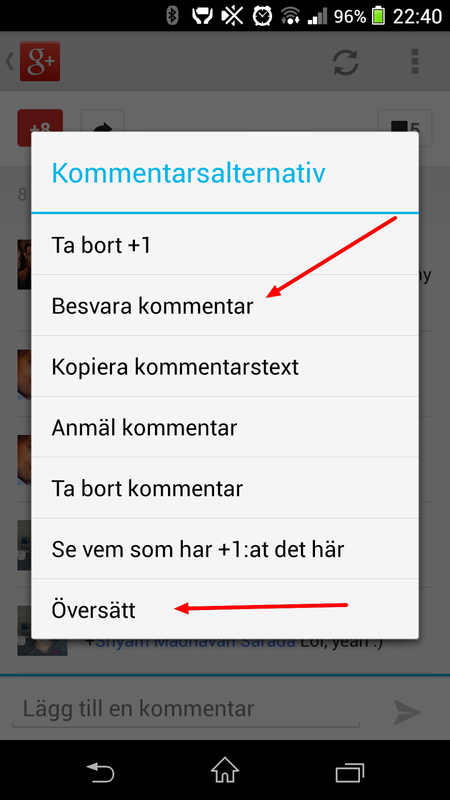 Finally we also now have a completely new comments menu, for example can we now easily reply to a comment, we don’t need to type the users name ourself anymore, just click on the comment and choose reply, and the name is added automatically to the comment you are writing. That is awesome! The new Translate feature is now also available in the mobile app, same there just click on the comment you want to translate, and choose translate. I just love the new version of the Google+ app, for every new version, it feels more robust and well developed. 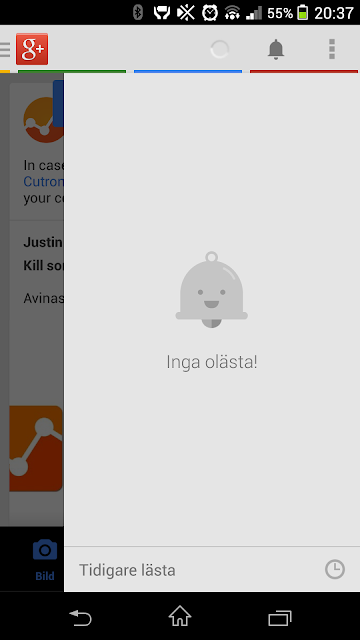 Google+ is definitely here to stay. Easy to remember and link too :) Like that!